Facebook&apos;s Foursquare killer went live in the UK this morning. The check-in based system is much like the popular geo-social app, but oddly doesn&apos;t have some of the key features Foursquare employs to make it so appealing to its users…. 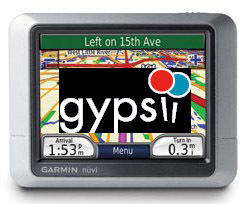 Sat-nav expert Garmin has announced a long-term deal with the geo-location and social networking site GyPSii, which will give the hardware manufacturer access to a range of new services including friend finding, sharing of photos and videos, and mobile search. Nokia has bought the German web startup Plazes, a location-aware social network which lets users find out where their friends are and what they’re doing — a sort of “Twitter meets Google Maps” mashup.